If you believe a Drip is infringing on a trademark you hold, you can report a trademark violation by emailing copyright@d.rip. We'll evaluate and respond to every report we receive. Please review our Trademark Policy for more information about what details to include in your report. 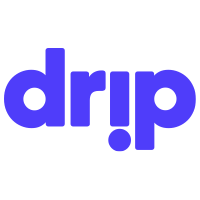 What is Drip's trademark policy? Using another party’s trademark-protected materials in a way that confuses or misleads others may be considered trademark infringement and a violation of Drip’s trademark policy. What do I do if I believe someone is infringing my trademark? Details — how does the Drip violate your trademark? Please provide specific information and grounds for your complaint. How do I report a Drip for patent infringement? If you believe that a Drip is offering an item or service that infringes on a valid and enforceable patent, please submit the valid patent registration number and a court order finding infringement of the patent by the Drip to copyright@d.rip. A statement that you understand that Drip may provide third parties, including the affected user, with a copy of this complaint. Drip will review claims of patent infringement and will remove from public view any Drip that is the subject of a court order finding infringement of a valid and enforceable patent.